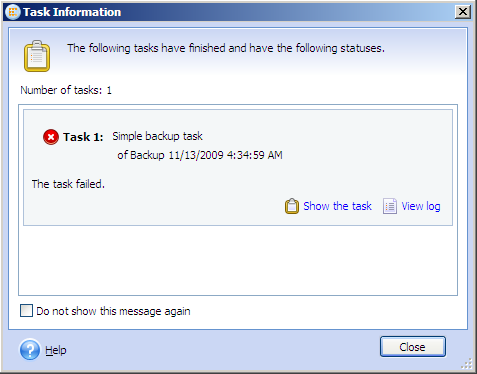 Task 'Simple backup task' failed: 'File I/O error.|Additional info: |--------------------|Error code: 7|Module: 4|LineInfo: f35f747b3b21faa9|Fields: function : WNetGetUniversalNameW, filename : C:, $module : C:\Program Files\Acronis\BackupAndRecovery\mms.exe|Message: File I/O error.|--------------------|Error code: 65520|Module: 0|LineInfo: bd28fdbd64edb8b9|Fields: code : 2147944650|Message: This network connection does not exist|--------------------'." 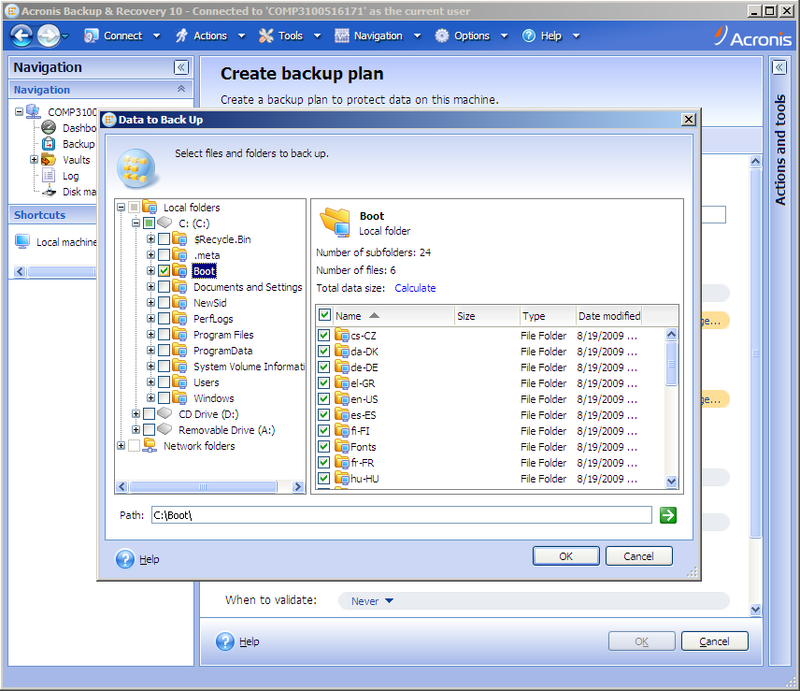 code="11,863,304(0xB50508)" module="181" Owner="Acronis Agent User"
The product will not accept any credentials. This is a limitation of the product. 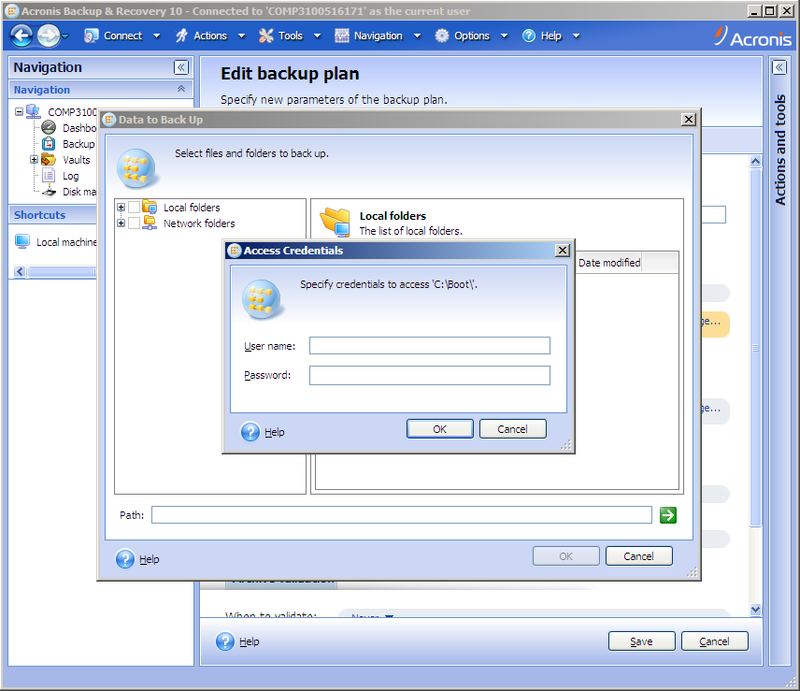 One task cannot have different access credentials. 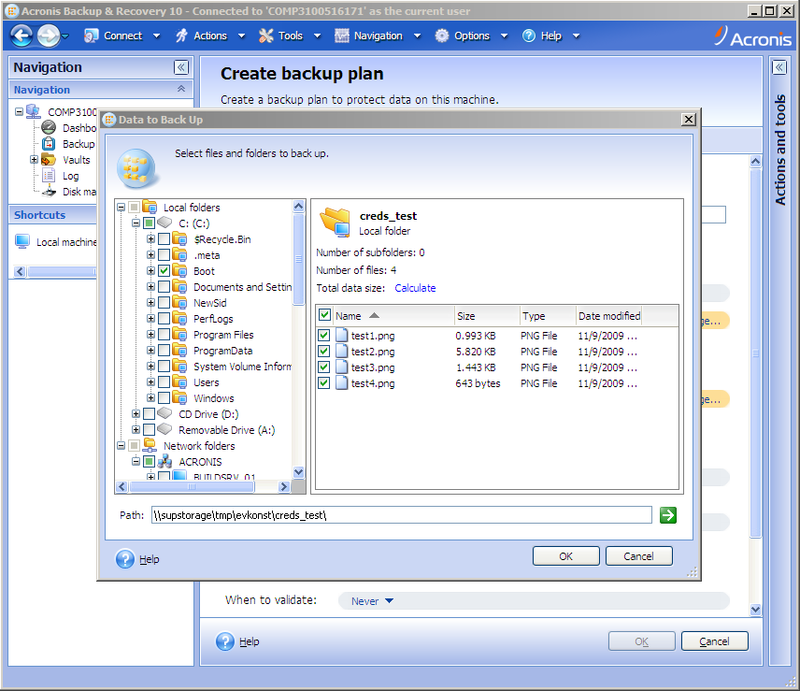 As a workaround, create separate tasks to back up data from different sources.